Today is the 25th day of my I Heart Shoes challenge! Today I used these purple heels as a pop of color in my neutral outfit. Work + Stayed at home catching up with some to-do's. Today I decided to make an all-white outfit with two pops of color: my purple shoes and my rainbow bracelets. I have always enjoyed how crisp and fresh white outfits look. All of these bracelets are really cute, but they do have a downfall... They remind me of candy! That would normally be a good thing (Eating candy is fun! ); but when you are working really hard in an office that doesn't have candy, it's kind of sad... haha. 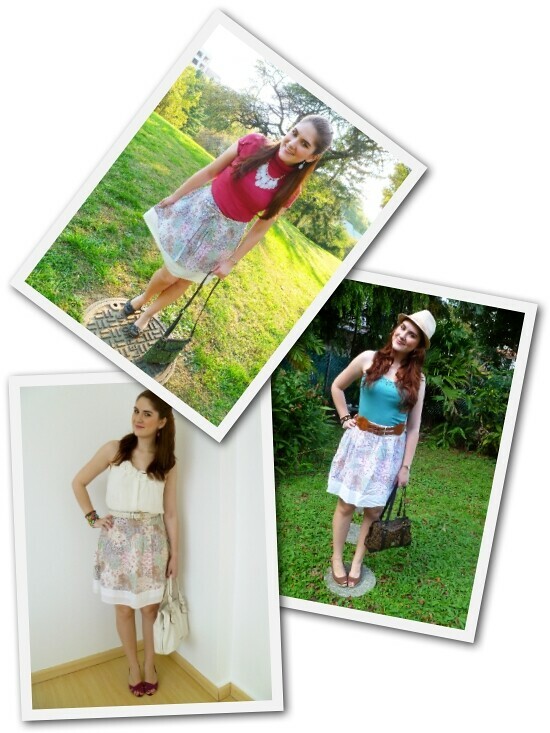 Skirts are sooo diverse - I love your collage of photos! WAY too cute! 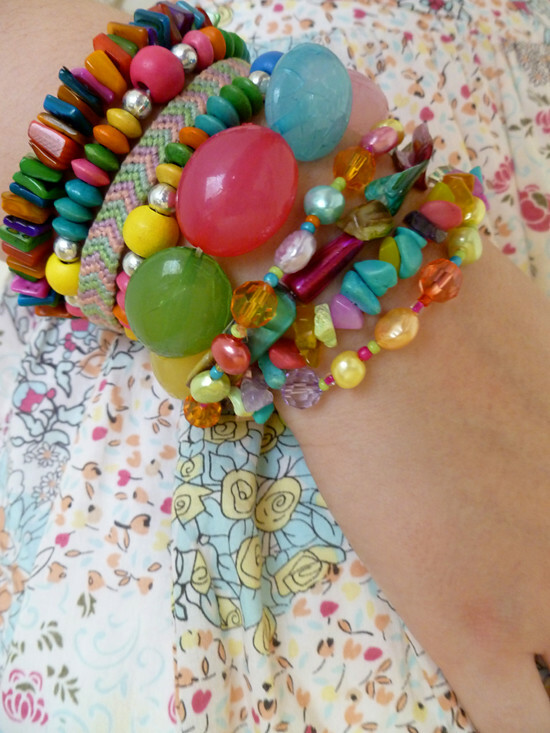 And the party of bracelets on your arm is the PERFECT touch. Supppaaa fun! This is an adorable outfit! I love the cream canvas you're working and the "candy" decorations on your arm! They look so sweet ! 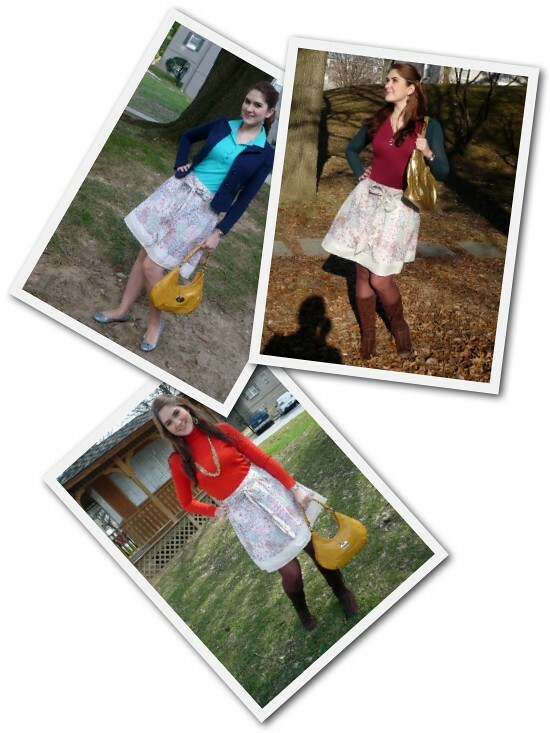 I think this is my favorite take on the skirt! 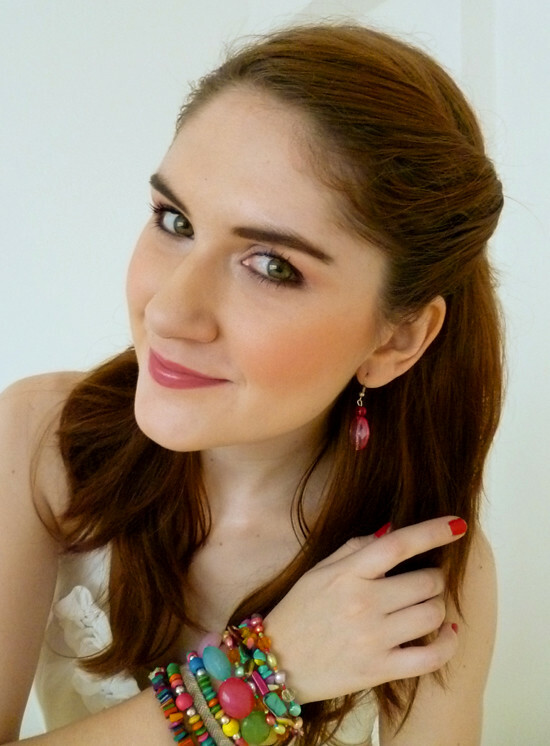 The white is the perfect balance for the color in your bracelets. Lovely. I love soft pastel colors. I just think they look so chic and put together! ha ha! Those bracelets do look like candy! Love the bright colors with the white. It is so crisp and fresh!